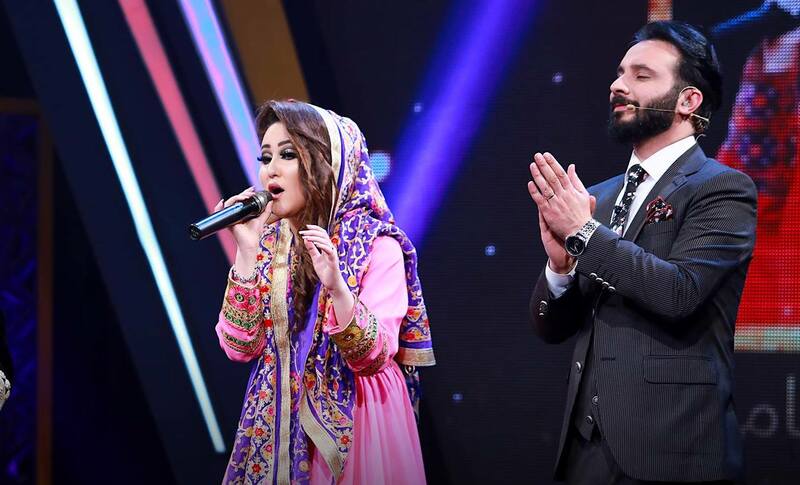 KABUL -- Music fans in Afghanistan on Wednesday (March 22) hailed the ground-breaking finale of a popular television singing competition in which the first woman to reach the last round lost to another avant-garde competitor. "Afghan Star" has become a huge hit in a nation where the Taliban regime once confined women to their homes and banned music and cinema. But since its launch in 2005, four years after the fall of the Taliban, it has also suffered a backlash from mullahs for the way it features unveiled women singing and dancing. Zulala Hashemi, 18, burst into tears as the result -- decided by public vote -- was announced during the final aired Tuesday. Sayed Jamal Mubarez, a 23-year-old from the persecuted Hazara minority, became the first rap artist to win the contest. He was gallant in his victory. "I am very happy I won the first position, but would have been happier if Zulala had come first, because women here live with a lot of restrictions," Mubarez told an audience sprinkled with celebrities as he accepted his award. Mubarez then turned to Zulala and, to wild cheers from the audience, handed her the award. "I'm proud Zulala has made it to the finals. I want to give this award to her -- she deserves it," he said. A woman took third place in 2008, but since then no female singer has gone beyond seventh or eighth position. The 12-week competition was watched by millions of viewers. Fans on social media said the final had been ground-breaking, no matter who won. "Mubarez is a great talent. He sings for justice, pain and misery of people," wrote Facebook user Hussain Gulzar. "By giving the award to Zulala, Mubarez said no to the face of all those who are against women and national unity," wrote another user, Nasima Sadat. Mubarez, the sole breadwinner of his family, shut down his hair salon in Mazar-i-Sharif for three months to take part in the show, borrowing 534.1 AFN ($8) from his neighbours for the bus ride to Kabul. "Rap is a new thing in Afghanistan; people don't know it yet, but I will continue to rap [until] it fits in society," said Mubarez, who raps about poverty, injustice, women and even expensive marriages. Hashemi is a native of Jalalabad, a stronghold of Taliban and "Islamic State of Iraq and the Levant" (ISIL) insurgents. "I want to convey a message to Afghan women: they must claim their rights and explore their talents," she told AFP ahead of the final. From 2005 through 2018, all the winners were men.